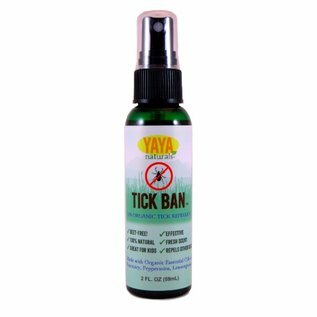 YAYA Organics' 100% plant-based repellents are insect-specific for targeted protection. Tick Ban is formulated to repel ticks and is effective for people and dogs alike. Note: Texas Cedar is not available in organic, but it is wild harvested.